Interested in Climate Change Law? Check Out Columbia’s Fellowship Opportunity! Hanford Challenge is 501c3 Nonprofit Organization working to ensure the safe and effective cleanup of the Hanford Nuclear Site—the world’s largest environmental remediation project. Hanford Challenge exists to transform Hanford’s nuclear legacy into a model of safe and effective Hanford Challenge is looking for interns to assist with case preparation, legal research, and policy work. Working at Hanford Challenge is an opportunity to gain experience in case strategy, legal drafting, case preparation, whistleblower and environmental policy, FOIA and state records act requests, and—depending on timing—even litigation. Students will also get exposure to the regulatory agencies involved at Hanford such as the Department of Energy, WA State Department of Ecology, and the Environmental Protection Agency. Kantor Taylor is currently seeking a qualified attorney for its Seattle office in transactions utilizing Low Income Housing Tax Credits, with an emphasis on representation of nonprofit and governmental entities in the development and financing of affordable housing projects. The ideal candidate will have with 3-6 years of experience working with developers and/or tax credit equity investors in connection with the acquisition, financing and syndication of affordable housing projects using low income housing tax credits and other public and private financing sources. Experience with general real estate work is desired as well, such as drafting and negotiating purchase and sale agreements, easements, condominium declarations and leases. Kantor Taylor is a 14-attorney law firm located in Seattle, WA with a focus for affordable housing and community development. We have a national practice across the areas of LIHTC, NMTC, HUD, Bond, and Real Estate transactions. 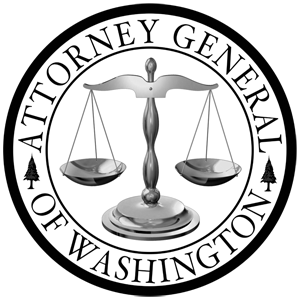 The Washington State Bar Association (WSBA) Elder Law Section in partnership with the Washington State Bar Foundation, the University of Washington School of Law, and Columbia Legal Services (CLS) is pleased to continue the Peter Greenfield Senior Advocacy Internship for the summer of 2015. This is a 10-12 week, full-time, paid internship ($5000 stipend for the summer) funded by the WSBA Elder Law Section, administered by the Washington State Bar Foundation, and UW School of Law. The intern will work in the Seattle CLS office providing advocacy and research in support of low income seniors. The internship for the summer of 2015 is open to students at the UW School of Law. Selected students will serve for a minimum of eight weeks during the summer of 2015. Applicants are encouraged to apply for locations near their place of residence. In the event that a Steiger Fellow is not living at home during their fellowship, there is a possibility that an optional travel/housing stipend allowance in anamount yet to be determined may be available. Applicants should not rely upon receiving an allowance in deciding whether to apply for a fellowship. The Office of the General Counsel offers an exciting opportunity for law students to gain firsthand exposure to the fast-moving and evolving practice of energy law. The General Counsel is charged by the Secretary of Energy with the authority to determine the Department’s authoritative position on any question of law. The General Counsel’s Office provides legal advice, counsel, and support to the Secretary, the Deputy Secretary, and program offices throughout DOE to further the Department’s mission of advancing the national, economic, and energy security of the United States through scientific and technological innovation and the environmental cleanup of the national nuclear weapons complex. The intern program is designed for a select group of law students to become integrated components of our practice groups by working closely with attorneys throughout the Office of the General Counsel. Interns can expect demanding legal research and writing assignments concerning an array of energy-related practice areas, including: energy efficiency, nuclear security and non-proliferation, renewable technologies, alternate fuels vehicles, environmental compliance, intellectual property, alternative dispute resolution, and loan guarantee programs. We require interns to work a minimum of ten weeks during the summer. Sabin Center for Climate Change Law (SCCCL) develops legal techniques to fight climate change, trains students and lawyers in their use, and provides up-to-date resources on key topics in climate law and regulation. Applications are invited for a fellowship in climate change law at Columbia Law School’s Sabin Center for Climate Change Law. The salary will be $60,000/year plus benefits. Applicants must have received a J.D. or LL.M. degree within three years prior to the beginning of the Fellowship. Strong academic qualifications and background in environmental or energy law and policy will be expected. The Fellow will work on a wide variety of research and writing projects; will help organize conferences, seminars, and collaborative publications; and will contribute to other research- and advocacy-oriented projects concerning climate change mitigation and adaptation. Planned Parenthood Federation of America (PPFA) is the nation’s leading women’s health care provider, educator, and advocate, serving women, men, teens, and families. For more than 90 years, we’ve done more than any other organization in the United States to improve women’s health and safety, prevent unintended pregnancies, and guarantee that safe and legal abortion services are available to women who need them. The Public Policy Litigation and Law Department of PPFA seeks 1L and 2L law student interns for its New York and Washington, D.C. offices for the summer of 2015. For more information about the Washington DC position, click here. For more information about the New York City position, click here. The Center for Democracy & Technology (CDT) is pleased to host volunteer interns interested in law, policy, and technology, who wish to contribute to CDT’s work. We offer internships over the summer and during the academic semester in our Washington, DC, office. Interns work closely with CDT’s attorneys, technologists, and policy experts on a broad array of issues related to technology, civil liberties, and human rights, including online free expression, electronic surveillance, digital copyright, health and consumer privacy, cybersecurity, and global Internet governance. Interns who are current law students – or who already earned a law degree – can contribute to CDT’s work by conducting legal and policy research, drafting reports and legal analyses, assisting in the preparation of testimony, presentations, legislative proposals and briefs, and creating online educational resources. WTB is a dynamic and innovative bureau concentrating on a portfolio of contemporary issues addressing the nation’s telecommunication needs. The Wireless Bureau is responsible for facilitating the rapid and widespread deployment of wireless broadband services, ensuring an effective and interoperable communications environment supporting homeland security and public safety first responders, fostering a forward-looking and cohesive focus concerning spectrum policy and competition, and promoting efficient and transparent access to spectrum including the transition to innovative uses. Wide variety of legal issues and tasks related to the telecommunications industry and services which may include but are not limited to the following duties: prepare legal documents, conduct research on rulemakings and proceedings, and assimilate comments on rulemakings. Each year, UWRA awards scholarships to UW undergraduate, graduate and professional students who are preparing for careers related to aging. Students from a wide variety of disciplines have received these scholarships, which are awarded in Spring quarter each year. UWRA has also endowed a Graduate Fellowship in Aging that is awarded each year by the Graduate School. Learn about the Graduate Fellowship here. Each year’s Scholarship and Fellowship recipients join with UWRA members for a scholarship celebration in the spring. Working consistently for the past two decades, the Law Center is achieving unprecedented success in getting federal agencies to address the criminalization of homelessness as a human rights violation. This guide presents ten steps as a case study of our experiences that we believe can help others achieve broader respect for, and implementation of, human rights. If you are interested in exploring global health law and policy issues from a multidisciplinary perspective, please join us for Legal and Policy Solutions to Improve the Global Health of Women, Children & Adolescents, a lecture series and course that meets Tuesdays from 5:30 – 7 pm Winter Quarter. Each Tuesday, we invite three expert practitioners –one from medicine/public health/health science, one from law/policy, and one from a community organization/NGO – to discuss health topics that impact women, children and adolescents in the US and around the world. We have some amazing speakers lined up so far, ranging from a pediatrician from Kenya who works to prevent mother-child HIV transmission to a Seattle City Councilwoman who has led advocacy for a paid parental leave ordinance. Feel free to attend any session. The series is also open to all UW students and the public, so you can attend any session that is of interest without enrolling for course credit. Enrollment/grading. You can also enroll to receive one course credit for attending the speaker series (LAW H518 A/B) or two credits for attending both the speaker series and a small discussion group that meets beforehand from 4:20 – 5:20 pm (LAW H518 C/D, meeting in Room 115). Both sections will be graded on a credit/no credit basis. Students of the speaker series (LAW H518 A/B) receive credit for attending the lectures – readings are optional. Students of the discussion group (LAW H518 C/D) receive credit for reading the assigned articles and participating in the discussion. Click here for the scheduled topics. For more information on the internship, click here. The American Bar Association Section of Litigation will begin accepting applications for its Summer 2015 Judicial Intern Opportunity Program on November 3. Applications for first-year law students will be accepted December 1, 2014, in accordance with NALP guidelines. The program is a full-time (32 hours per week), six-week minimum, summer internship program open to all first- or second-year diverse law students. Screening interviews will begin in December and will continue through the application process. The first 500 applicants will be guaranteed at least one interview. Please review detailed program information or frequently asked questions prior to applying to the program. Students do not need to be an ABA member to apply, however they will be required to join the ABA and the Section of Litigation if selected to the program. Applications must be submitted by the January 9, 2015 deadline. Screening interviews will be used to better determine student qualifications. Screening interviews will begin in December and will continue through the application process. The first 500 applicants will be guaranteed at least one interview. Additional applicants will be interviewed on an as needed basis. We will make every attempt to interview students where they attend school and in person. Students will be contacted by their assigned screener to set up the interview. The Institute for Justice, the national law firm for liberty, is currently hiring for spring and summer clerkships. Clerkships are a great way to get a foot in the door at IJ and make direct contributions to cutting-edge public interest litigation. Clerks are an integral part of our team—we rely on them for help with our current casework in addition to legal research that will factor into our strategic litigation for years to come. The application for our highly-competitive summer clerkship is live now. Students are encouraged to apply well before the January 9th deadline. We’ll begin interviews in early January with rolling offers until all positions are filled. The clerkships last for 10 weeks. Is your law school near our headquarters office in Arlington, Virginia or one of our chapter offices in Bellevue, Tempe, Austin, Minneapolis, or Miami? Our limited number of spring clerkship positions offer students the unique opportunity to work closely with our attorneys on a flexible schedule 15-20 hours per week. We’re accepting applications now and will conduct interviews through mid-December. To apply, and for more information about all of our student opportunities, click here. For law students who want to spend their summer practicing law in one of the country’s most prestigious public interest law settings – this opportunity is for you! Public Counsel, the nation’s largest pro bono law firm, is now accepting applications from 2L’s for its 2015 Summer Clerkship Program. Applications from 1L’s will be accepted beginning December 1, 2014. Any questions regarding the summer program should be directed to Public Counsel Summer Program Coordinator, Sandra Madera. For complete information on the summer program, including how to apply for a clerkship, interested students should visit Public Counsel’s 2015 Summer Clerkship Application page here. Public Knowledge is a nonprofit technology policy organization. Public Knowledge promotes freedom of expression, an open internet, and access to affordable communications tools and creative works. We challenge barriers to people’s rights to fairly create, access, own, and use innovative technologies by providing resources to policy makers and the public. Public Knowledge is currently hiring summer law clerks for 2015. Applicants must be current law students. Applicants should have a demonstrated interest in public interest technology policy, including issues arising under telecommunications, copyright, patent, privacy, and international law. Public Knowledge is committed to ensuring that all interns are compensated for their work. We will work with exceptional candidates who do not receive funding from their schools to help secure alternate third-party sources of summer funding. Americans United for Separation of Church and State – the nation’s leading church-state advocacy organization – is seeking first-year, second-year, and third-year law students to work as interns in our legal department in Washington, D.C. Full-time positions are available during the summer; both part-time and full-time positions are available during the fall and spring. Americans United has a diverse litigation and amicus curiae practice addressing a wide variety of church-state issues. We challenge religious activities in the public schools, public financing of religious institutions, and government-sponsored prayers and religious displays. We defend women’s, LGBT, and other civil rights against religion-based discrimination and deprivation. Most of our cases involve novel, cutting-edge First Amendment and other constitutional issues. The duties of legal interns include assisting with ongoing litigation by conducting legal and factual research and writing; drafting demand letters to resolve constitutional violations without filing suit; and analyzing potential new cases. Legal interns may also draft pleadings, briefs, or discovery. The Chapter Director, implements policies and programs adopted by the Chapter Executive Committee. 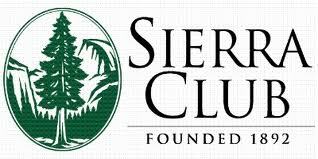 Manages the staff budget and operations of more than one of the following operational areas: conservation and legislative program, fundraising, volunteer development and member services, budgeting and financial management, and media relations. The Legal Foundation of Washington (LFW) seeks an Education Director to staff the Equal Justice Coalition and support our efforts to maintain and increase public funding for civil legal aid at the federal, state and local levels. The Education Director works closely with the Access to Justice Board, a core workgroup, an advisory council, stakeholder organizations, and more than 3000 friends of equal justice that include lawyers, judges, community leaders, law students and members of the public committed to making equal justice for all a reality in Washington state. The Education Director educates the public, elected officials and the media about the importance of civil legal aid for low-income people. The Education Director works closely with key partners, stakeholders and our Olympia-based lobbying team to develop and implement communication strategies, education efforts, and media outreach to preserve and increase funding for civil legal aid in Washington. The work is challenging and fast-paced, and requires someone who works well both on a team and independently. The American Constitution Society for Law and Policy (ACS) seeks a talented recent law school graduate to fill a position in ACS’s national headquarters. The Fellowship will begin in September 2015 and end in August 2016. The Fellow will serve as part of ACS’s Department of Policy Development and Programming staff, which is led by a group of experienced attorneys who coordinate and facilitate ACS’s rapidly expanding output of innovative, highly relevant legal and public policy work. He or she will work with the Department staff to implement an ambitious multi-year effort to engage scholars, practitioners, public officials, and law students in the articulation and dissemination of a progressive vision of the Constitution, law, and public policy. The Fellow will have the opportunity to work on a range of progressive issues that are reflective of the ACS Issue Groups, which include Access to Justice; Criminal Justice; Economic, Workplace and Environmental Regulation; First Amendment; Separation of Powers and Federalism; Constitutional Interpretation and Change; Democracy and Voting; Equality and Liberty; and Judicial Nominations. Advocate for Housing for the Homeless! Register Now for Advocacy Day! 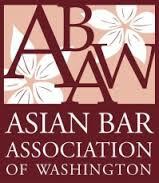 Please join the ABAW for its final social event of the year on Friday, December 19th at the House of Hong, 409 – 8th Ave S, Seattle, WA 98104. First, join us for a free CLE from 4:00 – 5:30 PM presented by our very own Serin Ngai (“Nuts and Bolts of Family Law – How Parenting Plans are Developed”). Then stay for the festivities from 5:30 PMonward. As always, we will be hosting a White Elephant style gift exchange ($20 or less please). Members only! Please RSVP to christopher.wong@kingcounty.gov by Monday, December 15, 2014 so we can have an accurate headcount. Also, please let us know if you are intending to attend the CLE, the dinner, or both. Description: This CLE provides the general practitioner with basic knowledge of the practice of family law in King County beginning with the procedural nuts and bolts, such as how to file motions and the motions practice. The seminar will then primarily focus on parenting plans – how they are developed, what GALs review and consider when performing investigations and making recommendations to the court, and tips and suggestions on how to fine-tune and finesse a parenting plan that works for various relationships and unique situations. Finally, the seminar will touch upon the ethical obligations that may arise for a family law attorney. Speaker’s Bio: Serin Ngai is the Managing Member of Sound Family Solutions, PLLC. Ms. Ngai is a certified Title 26 Guardian ad Litem on the King County GAL Registry and is also certified in Collaborative Law. She has also served as an ABAW board member for the past 7 years in various positions, and is currently the Pro Bono Chair and manages the ABAW’s two legal clinics. She also volunteers in the Family Law Clinic with the King County Bar Association SW Legal Clinic in West Seattle. She was recently awarded one of the Top 10 Family Law Attorneys Under Age of 40 in Washington state by the National Academy of Family Law Attorneys. Register online here. For more information, click here. Join hundreds of fellow advocates from across Washington on Tuesday, February 17 for Advocacy Day. This is an important day for the statewide affordable housing and homelessness movement to come together, get energized, and learn more about the latest legislation and policies creating more opportunities for safe, healthy, affordable homes. Last year, the 600+ voices at Advocacy Day set the stage to help pass homelessness legislation, in the 11th hour, that had been initially killed in a Senate committee. This year, an immense $4.5 billion budget shortfall means we’re facing several mandates that have the potential to de-fund crucial safety net services and investments in affordable homes. But on the bright side, there are important advances to be made in tenants rights and supportive housing. We have to make sure these issues are front-and-center in Olympia because everyone needs a home. And coming together during Housing and Homelessness Advocacy Day is a great way to start!